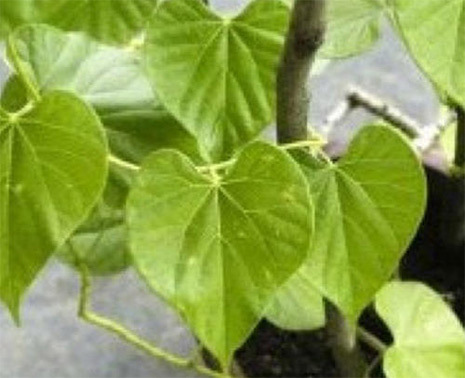 A recent study by Gujarat Ayurveda University in India has concluded that consumption of the ayurvedic shrub ‘Giloy’ (heart-leaved moonseed) increased the lifespan of the common fruit fly. The Ministry of AYUSH (Ayurveda, Yoga and Naturopathy, Unani, Siddha and Homoeopathy) in India plans to extend the research to humans. A Study by the University concluded that the flies (Drosophila melanogaster) are among the most extensively studied animal models for understanding the ageing process and longevity. Generally, the lifespan of flies are not more than 30 days. But, this increased to about 85 days after they were fed concentrations of Giloy powder for 30 days, the study claimed. The study has been published in the Netherlands-based ‘Wolters Kluwer’, a popular healthcare journal. The Study has also been approved by the Indian government, due to the results indicated by the primary study, and the need to extend the scope of research to humans. The Secretary at Ministry of AYUSH, Rajesh Kotecha, revealed plans to tie up with the Indian Council of Medical Research (ICMR), the largest medical research body in the country, to further expand the scope of the study. A major research project is further being planned to validate these findings at various levels, Kotecha said. For the study, researchers from the Institute for Post-Graduate Teaching and Research in Ayurveda, Gujarat, said that regular food of flies was mixed with Giloy powder in various concentrations. The flies were exposed to these concentrations for 30 days. The observation group was fed with 0.25g of Giloy per 100ml concentration, and it was observed that the lifespan of male flies were 83.2 days and that of female flies were 84.8 days respectively. In 0.50g per 100ml concentration, the lifespan of both flies were 33 days. Generally, the lifespan of flies is not more than 29 to 30 days. Therefore, the study concludes that there is an ideal concentration of the powder that contributes to significant increase in lifespan. This indicates that there is something like a particular concentration level, which causes maximum lifespan extension, the research paper points out. The concentrations beyond that limit however do not increase the lifespan, and this could be due to the absorption threshold of the powder. The increased lifespan in flies may be attributed to the high antioxidant properties of the Giloy powder. Giloy powder, known as ‘Guduchi churna’ in Ayurveda, is considered a herb that promotes longevity. Although the exact mechanism of the action of the herb on enhancing the survival ability of the flies could not be ascertained, it has validated the concept of ‘Vayasthapana’ and ‘Rasayana’ effect of Giloy powder, the paper pointed out. Rasayana is referred to as a rejuvenation therapy, and it is one of the vital branches of Ayurveda that deals with a group of medical preparations that boost immunity and prevent the cause of several ailments including premature ageing. Apart from imparting longevity and boosting immunity, Giloy helps treat chronic fever, improves digestion, treats diabetes, reduces stress and anxiety, fights respiratory problems, treats arthritis, reduces symptoms of Asthma, improves vision and given its anti-aging properties, it helps reduce pimples, fine lines and wrinkles and adds a glow to your skin.